A collection of 5 collaborations by Loren Mazzacane Connors from the last 10 years, among so many others. 4 are from amazing bootlegs, the 2 last ones from 2 different collaboration based records. LMC was born in New Haven, Connecticut, 1949. Composer and improviser, he has issued more than 70 records since the late 1970s under the names Guitar Roberts, Loren Mattei, Loren MazzaCane Connors and other variations. 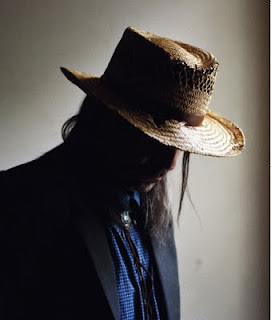 He has collaborated with Suzanne Langille, Jim O'Rourke, Thurston Moore, David Grubbs Darin Gray, Alan Licht, Cat Power, Christina Carter, Keiji Haino, San Agustin, Jandek and many others, as well as leading the group Haunted House. He currently lives in Brooklyn, NY.